The Kamiyama Artist in Residence (KAIR) Program is an independent project organized by volunteers who share the desire to develop art and culture in the town of Kamiyama. 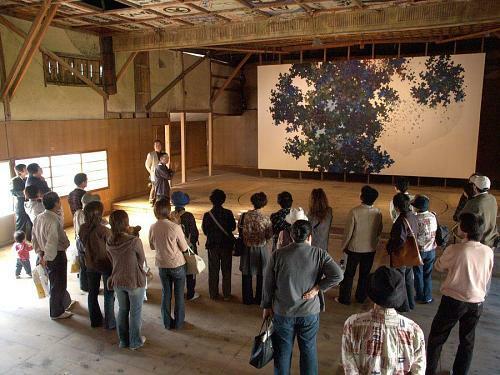 The program was established in 1999 to provide selected artists with the opportunity to experience Japanese small-town life while working together with local people on artistic projects. Every year for two months from September to November, three artists are invited to Kamiyama. During their stay, they create artworks which are displayed at an exhibition held in early November. Participating artists also hold workshops with local residents, participate in cultural events, and hold open studio days. See the KAIR Artist and Artwork List for a detailed list of past participants and works. To read comments from past participating artists, see Reflecting on KAIR. Normally, applications are accepted in winter for upcoming full support KAIR program. The thing that makes KAIR stand out from other artist in residence programs is the fact that it is handmade by the local people. 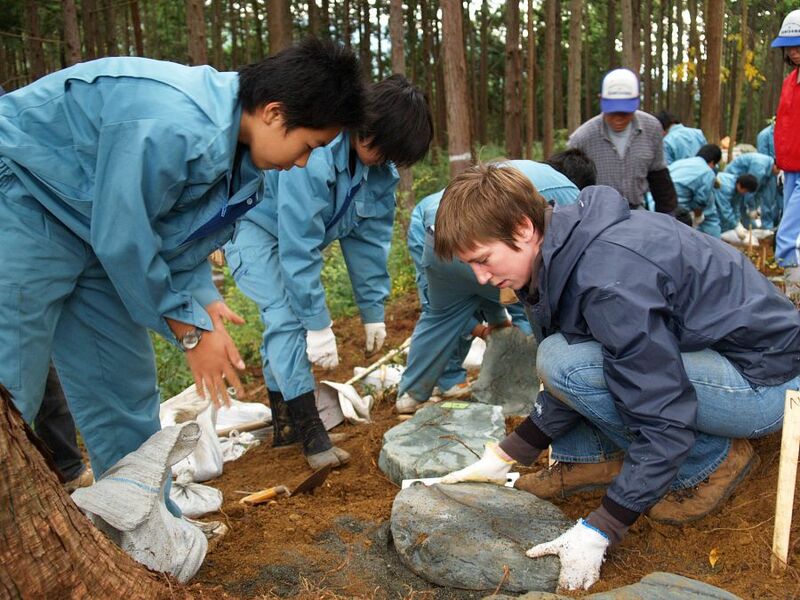 There are several organizations in Japan which hold artist in residence programs, but the interaction and spirit of mutual cooperation between artists and locals is what makes the KAIR program special. We really enjoy being a part of the creative process. Even if you can't join the residency, why not make an independent AIR to Kamiyama? We have Bed & Studio program for self funding AIR program. * Kamiyama photo album is under construction at the moment. Instead, you may find some images of Kamiyama on our flickr account.